The Kenneth Burke Society of CSCA welcomes paper submissions and panel proposals for the 2008 Central States Communication Association conference in Madison, WI, April 8-13, 2008. Any topic related to Kenneth Burke is welcomed; however, we encourage submissions that focus upon the convention theme (“Communication: An Activist’s Tool for Exploring, Explaining, and Engaging Human Behavior”). Papers and panels that link to relevant ideas in Burke’s writings would be appropriate (e.g., ecology/ environmentalism, rhetoric as consumer protection), but all are welcome. Co-sponsorship with other interest groups and divisions are encouraged. 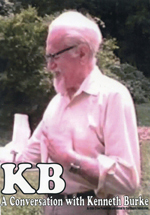 We expect members of Kenneth Burke Society at Central States to help us continue to increase the presence of Burkean theory and criticism at this year’s conference. Undergraduate and graduate student papers also are welcome. A variety of formats should be employed, as outlined in the 2007 program planner’s general call. 1. Papers must have a detachable title page that provides the author(s) identity/identities; if submitting electronically, make sure that identification of the author has been removed from the file’s “page properties.” Also, remove all author references in the text of the paper. Panel proposals need a title, addresses, phone numbers, and e-mail addresses of each panel participant. First-time presenters and/or students should include the label(s) “Debut Paper” and/or “Student Paper” on the title page only. 2. Competitive panel proposals must complete the 2008 CSCA Special Panel Proposal Request Form using the instructions for sample program formats available at csca-net.org. If your proposal employs an alternative presentation format, use the same form and adapt it to your purposes so that it is clear what type of presentation for the panel you are proposing. 3. Be sure to include any media requests at the time of submission. Special media requests cannot be considered after the call deadline.